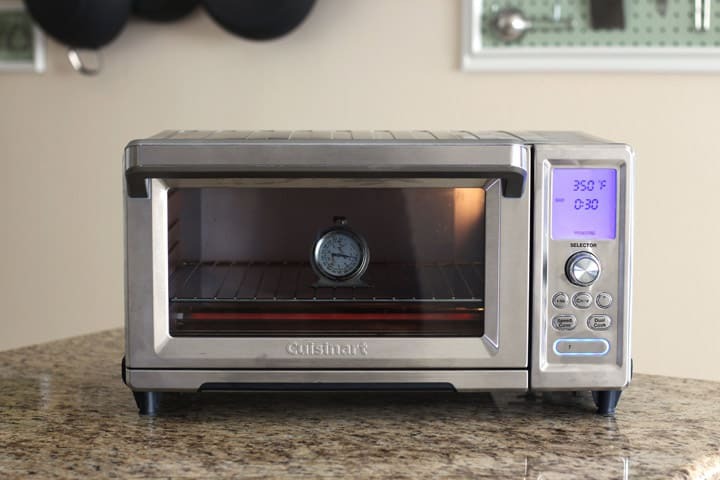 How To Test The Accuracy of Your Toaster Oven's Temperature? You are here: Home / "How To" Guides / Is Your Toaster Oven Lying About Its Temperature? 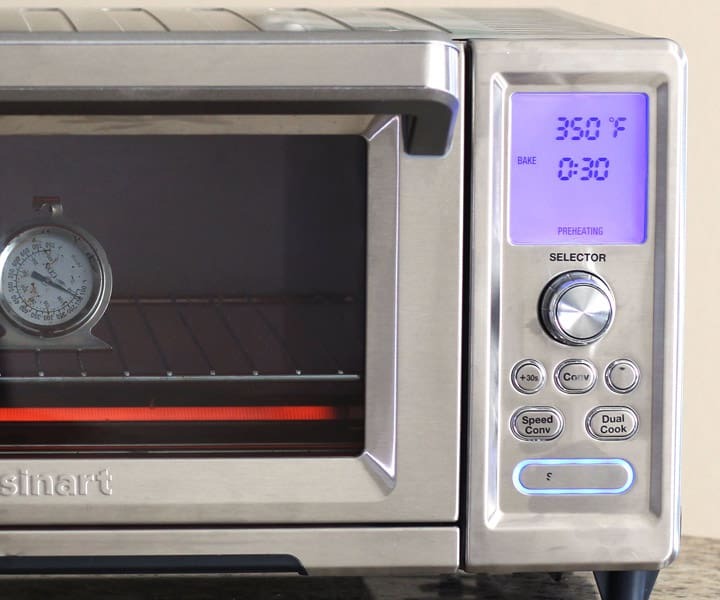 Is Your Toaster Oven Lying About Its Temperature? Never burn dinner again! 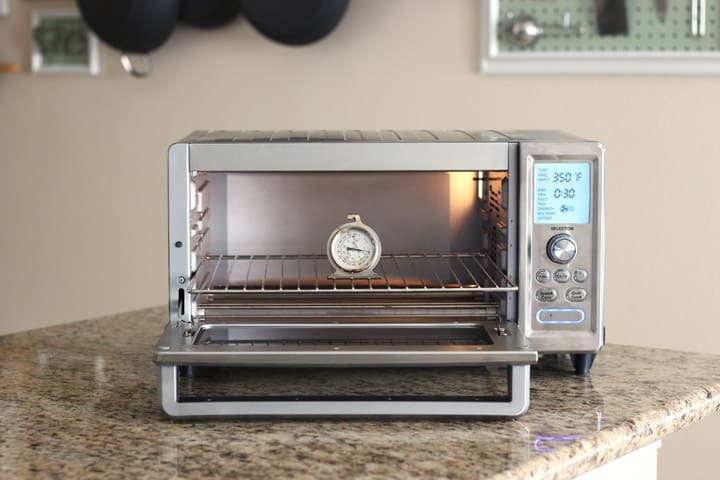 Discover how accurate your toaster oven’s temperature is with an inexpensive oven thermometer and a few simple tests. The dial says 350 but your charred food, it’s telling a different story. Maybe nothing. 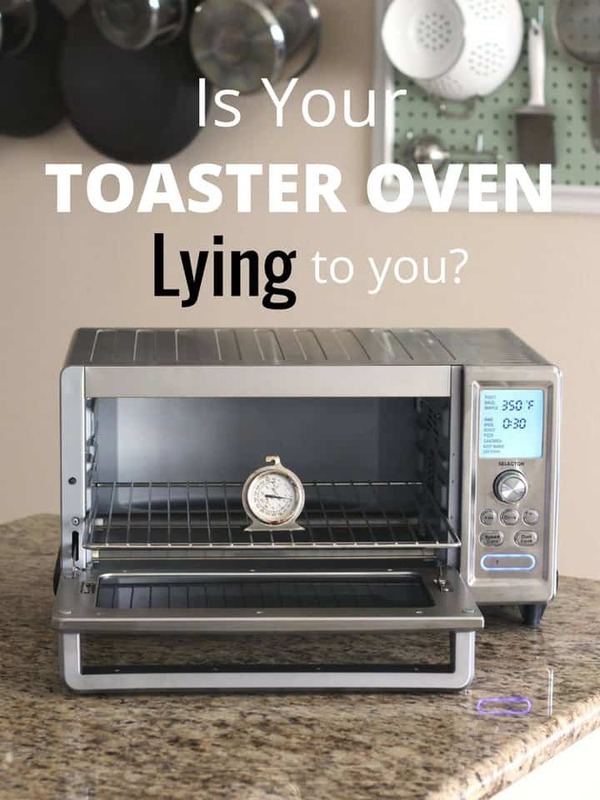 Maybe your toaster oven is lying. Okay, it’s probably more of a miscommunication. See, if your toaster oven isn’t calibrated correctly when you say 350° it might think you’re actually asking for 325°, 375° or even 400°! While you can’t re-calibrate most toaster ovens you can make sure you’re both speaking the same language. 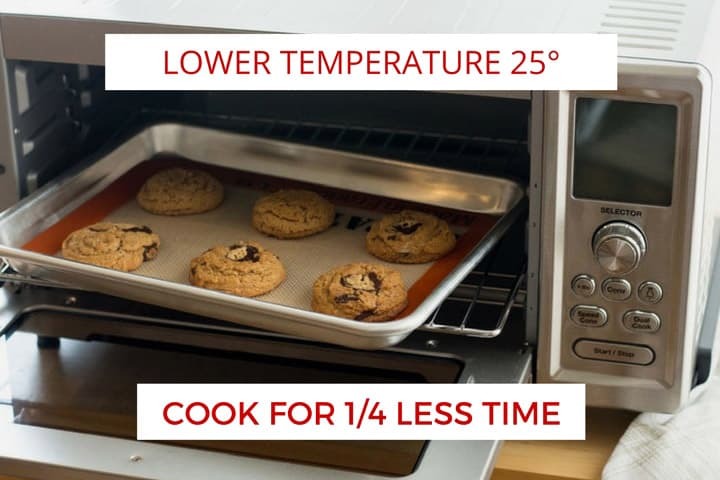 With the help of an oven thermometer and a few tests, you can find out if the temperature inside your toaster oven matches the temperature you’re asking for. So, about those clearance recommendations for the space behind and above your toaster oven, yeah they’re not just for safety reasons. When not in use, we store our new toaster oven pushed up against the kitchen wall. During our first round of tests, I forgot to pull it forward. Every result was at least 25 degrees higher than the screen temperature. Funny thing is, our toaster oven has been crazy reliable. I couldn’t figure out what was going on. Then it hit me, Doh! After moving the toaster oven forward and away from the wall the temperature was accurate again. Maybe your running-hotter-than-expected toaster oven might need some extra breathing room? If that’s not the case, let’s grab an oven thermometer and get started. Do You Preheat Your Toaster Oven? With the exceptions of broiling cheese, melting chocolate, reheating leftovers or making toast we preheat our toaster oven. If you preheat, how do you know when it’s ready? Many toaster ovens have a feature where they beep when they’re done preheating and have reached the desired temperature. Your toaster oven may be telling the truth but for the safety of your double chocolate chip cookies, it’s best to Trust But Verify. Adjust your toaster oven’s baking rack to the middle position. Set the toaster oven to Bake and the temperature to 350°F. When the toaster oven signals it has finished preheating* check the thermometer to see if the temperature is accurate. *If your toaster oven does not have a preheat feature check after 4 or 5 minutes. Not a huge deal but now we know to ignore the pavlovian beep and give the toaster oven a few more minutes to preheat before we start baking. This Food52 article does a great job of explaining how that initial burst of warm heat and a consistent-ish temperature affects your baked good’s ability to rise and end texture. Does it Stay That Temperature The Whole Time? Using the method below (adapted from a Cnet article) you can test if your toaster oven’s cycling is consistent and accurate. Continuing from the test above, keep your toaster oven turned on at 350 degrees and your thermometer inside. Set the cook time for at least 60 minutes. Over the hour, check and record the temperature every 15 minutes. At the end, add all of the readings together and then divide by the number of readings taken to get an average temperature. If your toaster oven is heating/cycling accurately the average should be close to your original temperature. Our toaster oven averaged a temperature of 356°F. Not a huge difference in temperature but we should probably shorten our cook times by a few minutes. Remember how in our 7 Things You Should Know About Convection Toaster Ovens article we talked about reducing the cooking time and temperature? Guess what? You can use the tests above to find out exactly how much to reduce the temperature for your specific toaster oven! Starting with a cold toaster oven, we set it to 350 degrees and Bake with the convection feature on. At the 3 minute mark, the preheat beep fibbed again. After 10 minutes the thermometer had reached 375 degrees (25 degrees more than the 350 the screen showed). We checked it three times over the course of an hour and each time the thermometer was at exactly 375 degrees. Our toaster oven is the most evenly and consistently heated when the convection function is used. When using the convection function the temperature will always be 25 degrees higher. So if we want 350 we better ask for 325 or shorten the cook time. There’s a test involving boiling water and one that uses a candy thermometer too. 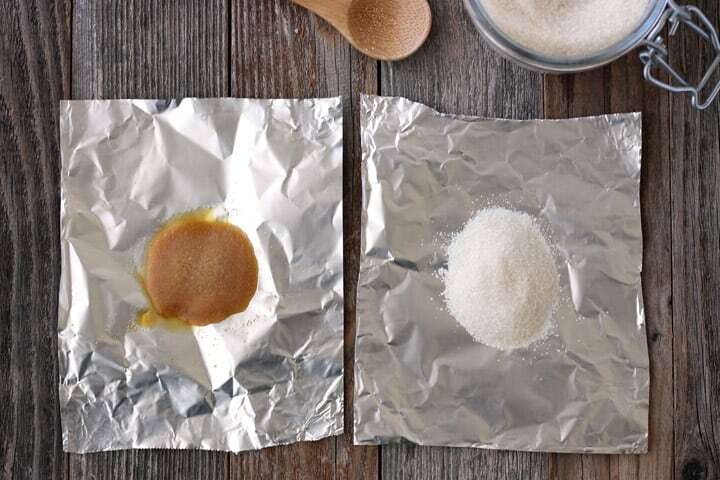 We tried this sugar testing method (because it looked like fun) from Food.com. The original poster adapted it from the book Cooking With Geeks. The basic idea is that sugar melts at 366.8F / 186C (though that seems up for debate these days). Our sugar was golden brown but starting to melt. This seems consistent with our slightly higher average cycling temperature from the test before. 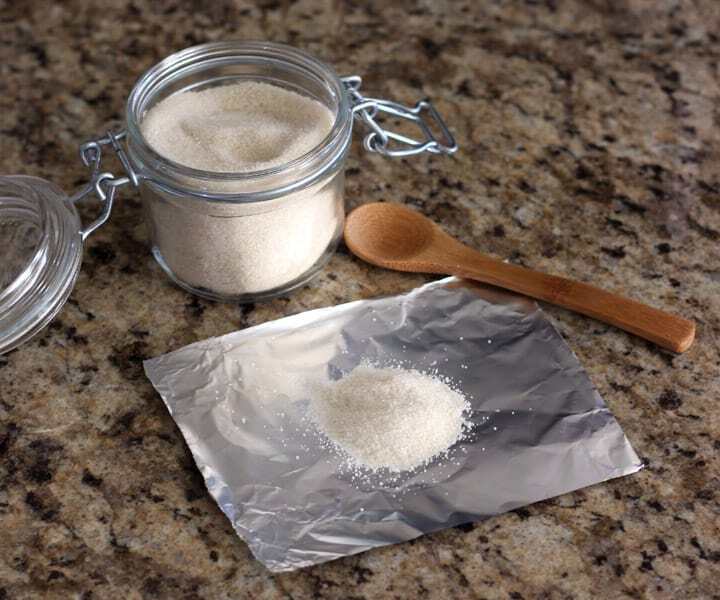 Also, the heating elements in a toaster oven are way closer to the sugar than a standard oven so that may have played a part in the melting too. 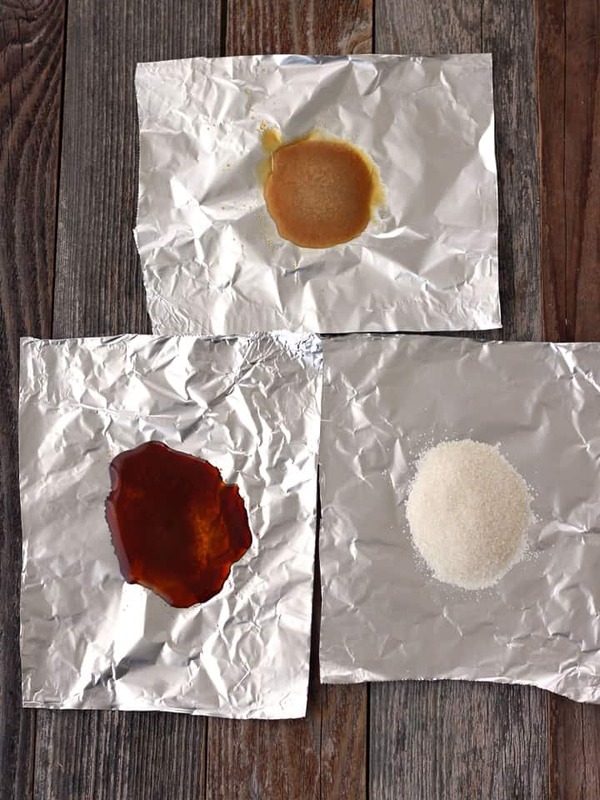 Our sugar was completely melted and turning a deep caramel color. If you have the choice, we’d stick with the thermometer to get hard numbers you can use. But if you’re just trying to get a sense of how off or accurate your toaster oven is the sugar test is helpful and an hour of sciency fun. We know it’s frustrating when your toaster oven is delivering burnt bagels instead of the lightly toasted results you expected. But before you give up on your little oven try some of the tests above. 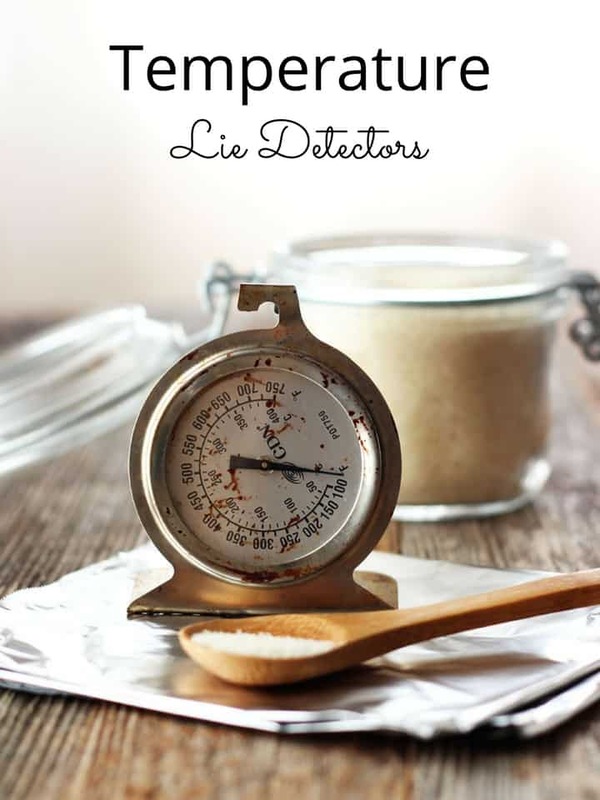 With a few adjustments to your temperature requests that garage sale toaster oven you got for $10.00 could be exactly what you need for baking up the tiny treats you love! Have you ever tested your toaster oven’s temperature accuracy? Did you learn anything that improved your toaster oven cooking? Share in the comments! Have you ever left the oven thermometer in the toaster oven while food is also cooking? Or only while empty? I recently bought a new Black and Decker convection toaster oven. In this model, convection is always on – there is no option to bake without. I put the oven thermometer in to test it without any food. I set the dial to bake at 350 and the thermometer consistently read 375 for an hour. When I put any type of food in, the temp drops to 325 and stays there. Any thoughts? I’ve left the thermometer in our traditional oven before but don’t think I’ve done that in our toaster ovens yet. I’ll have to try it and see if we get similar results to what you’re experiencing. 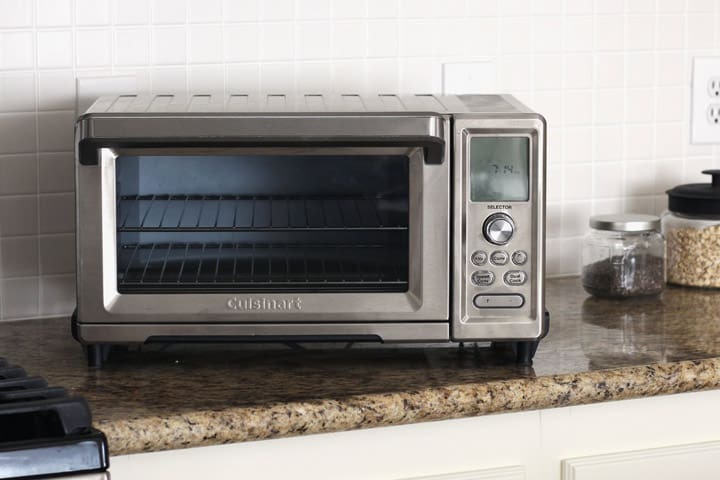 Like a regular oven, the temperature will drop in your toaster oven when you open the door and add your food but it should recover and come back up to the dial temperature eventually. Out of curiosity, is your food turning out okay and taking the right amount of time to cook? If it is, I’d wouldn’t be too concerned with the thermometer’s temperature. If it’s not cooking as expected then I’d talk to the manufacturer. Most toaster ovens use a consistent heat to quickly reach the preheated temperature. After that, the elements are alternated on and off to keep the temperature even. 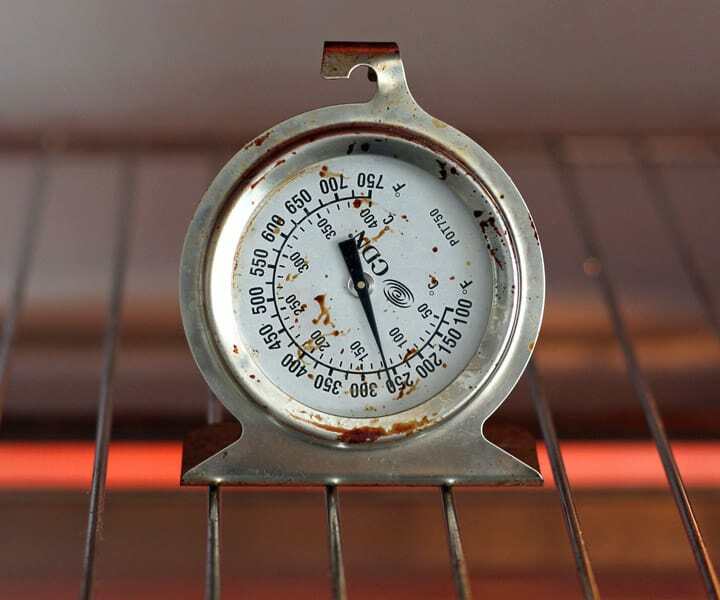 This is just a guess but if your food is cooking properly, it may be possible the elements are heating (cycling on and off) in a way that’s difficult for your oven thermometer to measure accurately. i actually bought a oven thermometer to test the temperature in my toaster oven. it is actually 50 degrees off on the temperature it says. really upsets me because i use my toaster oven instead of my real oven. my last toaster oven was accurate on temperature, but it was a General Electric and was the best. i bought a Black & Decker TO3250XSB. don’t waste your money on this toaster oven if you want the degrees to be off by 50 degrees. i called about this to Black & Decker and they told me that an oven thermometer will be inaccurate in a toaster oven to verify the temperature, they would not do nothing about it being that much off. any people with same problem, please help !!!!! Hi Cathy, you didn’t mention if the temperature was 50 degrees lower or higher than it should have been? If it was lower, then you know you’ll want to increase the temp on the dial 25 to 50 degrees to get it where you want for your recipe. If it was higher, then you can dial back the requested temp.